The luxurious patterns on the Yeezy harness make any dog look good! Classic black with grey crosses. Our new FuzzYard Step In dog harnesses are the best solution for dogs who don't like things being put over their head....or have a big head ;). They are lightweight super comfortable and, best of all, easy to fit! 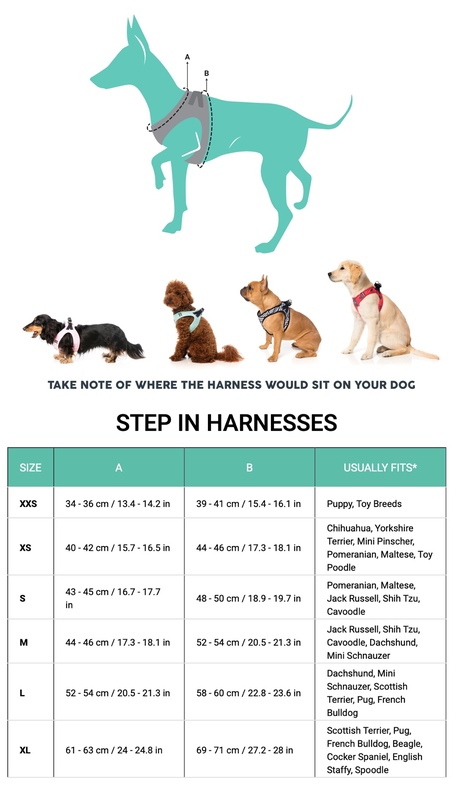 Simply unclip the buckle, undo the velcro and let your dog 'step in' and you're good to go!